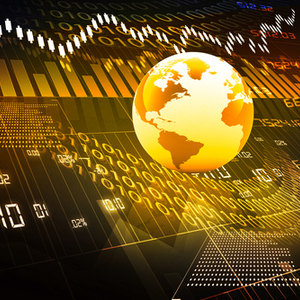 While there was no major precipitating event, concerns over rising interest rates and inflation, and the nearly-uninterrupted advancement of the equity markets over the past year have contributed to the recent market pullback. However, we believe global economic fundamentals remain strong and support a positive long-term outlook for equity markets. This recent decline is not surprising, as intra-year drawdowns occur in most market environments. The famed value investor Seth Klarman once observed that “the stock market is the story of cycles and of the human behavior that is responsible for overreactions in both directions.” It’s a quote that often bears repeating if only as a gentle reminder not to give in to the kind of behavioral tendencies that can influence poor decisions amid broad-based market selloffs. If equities last year were characterized by global synchronized growth, 2018 has so far been marked by the return of volatility. In the first half of February (through February 13), the S&P 500 declined 6%, but still remains near the level it attained in December. The pullback, however, should not come as a surprise. 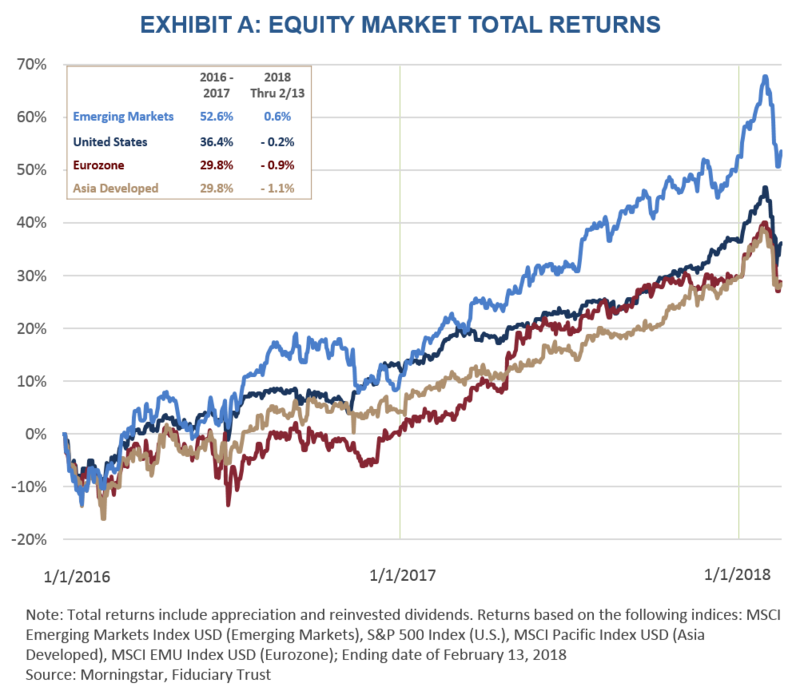 Analysts have been forecasting that after nine years of nearly uninterrupted growth, the extended length of the stock market’s run was already testing investors’ collective psyche, a point we highlighted in Fiduciary Trust’s 2018 Economic and Market Outlook. While we have witnessed limited volatility over the past 24 months, intra-year declines are the norm and should be expected during most market environments. Market selloffs can serve as good reminders that a long-term approach is critical in managing market risk. 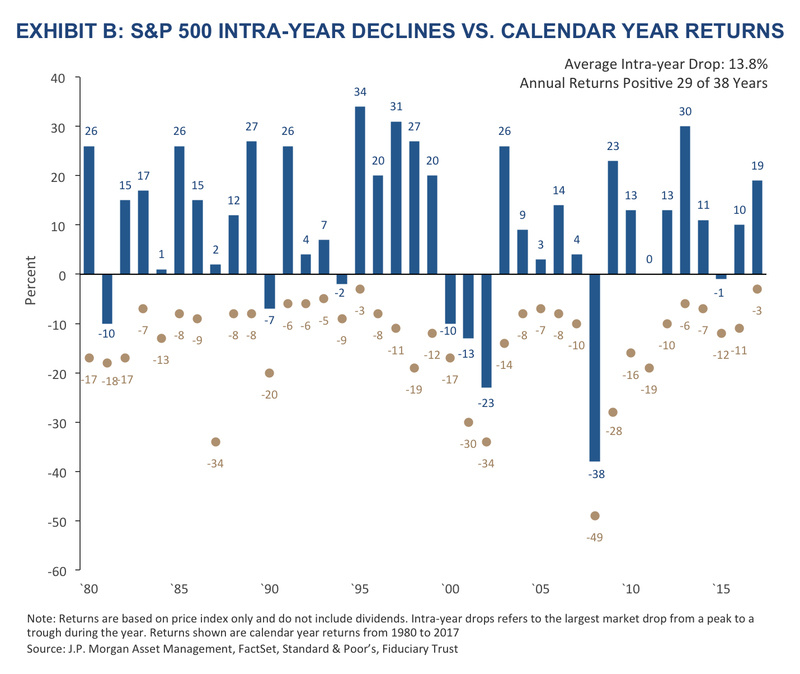 As illustrated in Exhibit B, since 1980 the S&P 500 has posted positive annual returns 29 times (over 38 years), yet the average intra-year decline over that same span was about 14%. 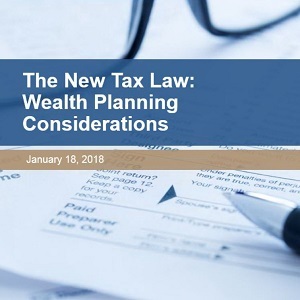 The near absence of volatility recently has made these larger market vacillations seem extraordinary. 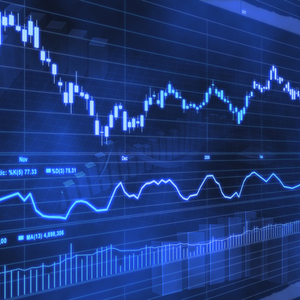 It is important to remember that during volatile markets, up and down days tend to be clustered together, which means that those who sell on the dips are only that much more likely to miss the successive rebounds. To gain a full appreciation of how a long-term approach can reduce risk and instill a level of predictability, it helps to examine long-term returns. 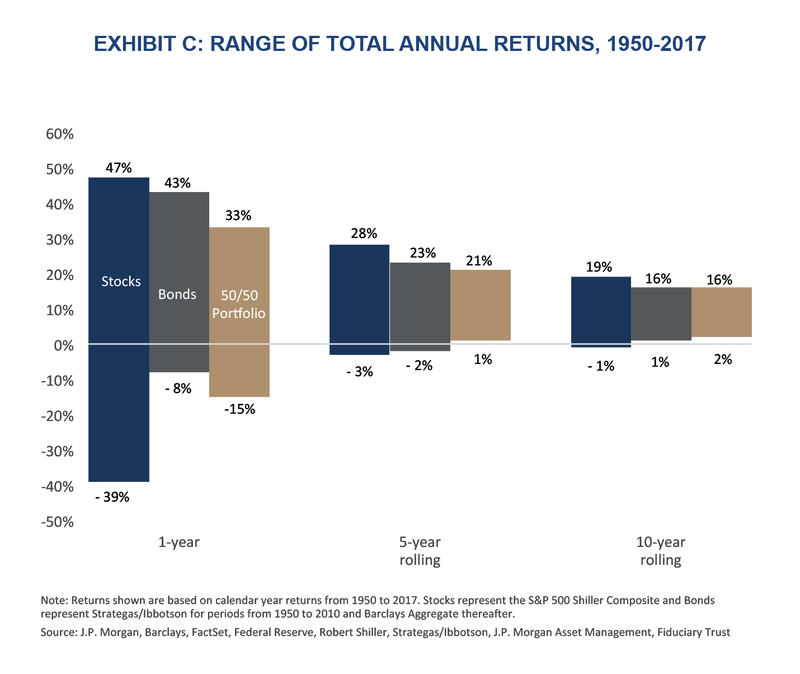 As illustrated in Exhibit C, going back to 1950 the range of stock returns on an annual basis reached as high as 47% over a one-year period, but also stretched to as low as -39% over the same span. This band narrows over time. And over a 20-year rolling period, annualized returns ranged from as high as +17% to +7%, in the worst case. What also shouldn’t be overlooked is that the backdrop that provided the setting for 2017’s record-breaking year seemingly remains in place. Beyond the unusually low downside volatility last year, equity performance was fueled by a robust U.S. economy and improved economic fundamentals around the world. Strong earnings and revenue growth also supported stock market performance, and the latest estimates call for earnings growth among S&P 500 companies to exceed 18% this year, bolstered by the tax reform bill recently signed into law. In addition, equity valuations are within normal ranges, with the U.S. above average (but not excessive) and developed international and emerging markets near long-term averages. Despite these tailwinds, there are risks that we will continue to monitor and we will adjust our guidance accordingly. These risks include inflation acceleration, overly aggressive Fed rate tightening, consumer spending slowdown, declining corporate earnings, and other factors. At Fiduciary Trust, we take a long-term approach to investing, constructing diversified portfolios to help achieve client goals for growth and stability. This time-tested strategy enhances returns over time while minimizing the risk of long-term capital losses.